In college, I had three friends that I hung out with on a regular basis. Whenever we went anywhere, there was a brief battle over who would drive and who would ride shotgun. I am a very basic, boring driver — taking the easiest route, staying within 7 miles per hour of the speed limit, and not taking any chances. Scott was a cruiser, driving around for the sake of driving around, and almost always guaranteeing we would be late no matter where we went. Steve was cocky — a “real” driver (in his estimation), commanding the road, and viewing driving as a competitive event. George was simply a bad driver, clueless, luckless, and a danger to every person on the road. We often let George ride shotgun just so he wouldn’t get behind the wheel. The problem was, each of us thought that we were “good” drivers — that the way we drove was the “right” or “best” way. It made us extremely critical of each other when we went anywhere. In retrospect, it makes me wonder why we went so many places together. Our problem was confusing style with integrity and opinion with truth. Fact: we always got where we were going. Fact: we never had an accident. Fact: none of us ever got pulled over or given a ticket. Fact: none of us were truly reckless. Yet, we constantly argued about who was the best driver. This memory comes to mind almost every time I work with churches around conflict situations. In at least 80% of the cases, there is no clear right or wrong, no one who is clearly grounded in truth while all others reside in a sticky miasma of delusion. So much of our distress and difficulty in our local churches is nothing more than a clash of opinions or preferences parading themselves around as God-given-truth. We lose all sense of perspective as we fight for what we want — our sense of personal entitlement trumping any and all other considerations. I have witnessed congregations torn apart by changing worship times or styles, rearranging furniture, making a staffing change, or leaving the kitchen messy. What begins as a simple disagreement or annoyance quickly escalates to an all-out polarizing war, resulting in parishioners or pastor leaving the church. What the heck’s up with that? Are we all five year’s old? Have we learned nothing in our developmental lives to help us navigate the differences of opinion that are a normal and natural part of life? Does our Christian gospel give us no guidance or instruction on how to deal with conflict? Does Paul not offer us some helpful lenses through which to view our dilemmas? Of course, these are rhetorical questions. We know that we should not behave the way we do, but we act that way anyway. People, by our fallen nature (if you lean this way) or by our biology (if you lean the other), are fundamentally selfish creatures who seek to meet their basic needs for comfort, security, and the preservation of the familiar. We are bodies most comfortable at rest, rather than in motion. We like our inertia stationary. We want what we want when we want it. We look out for number one first, then the immediate family and tribe second. We are the center of our own universes. This is also known as sin, and it is why we need Jesus Christ in the first place. Church should be a training ground, not a battle ground. We should be working together to improve our natures, not merely give into them whenever we are unhappy or dissatisfied. But we don’t engage in church this way much any more. We don’t train people in prayer and self-reflection. We don’t practice the means of grace as a way of getting closer to God and becoming more Christ-like. We practice the means of grace — to whatever extent we actually do — as a way to feel better about ourselves. We want to be served, rather than to serve. We want to be affirmed as “good enough” instead of being challenged to “become better.” We want to be accepted without the sacrifice of having to accept others. This is where we get stuck. The old cliché that ties into my early illustration is that we need to let Jesus into the driver’s seat. We need to let go of the wheel and let God’s own Spirit guide our lives — knowing that God will take us many places we would not choose on our own. And that’s scary. God’s ways are not our ways, and God’s will is definitely different from our will. Jesus’ vision of the kingdom of God rarely aligns cleanly with our own hope of same. Giving up control — this may be the greatest challenge of our culture in these modern times. We don’t like others to tell us what to do. We’re not big on discipline, let alone being disciplined. We don’t want to feel bad about ourselves, and we certainly don’t want to be made to feel guilty that we might be failing in any way. But this makes improvement difficult. If all we hear at church is what we want to hear, what good is that? Many pastors feel their hands are tied because if they say anything provocative, challenging or controversial, they will be sanctioned. Speaking the truth is love morphs into a sickening speaking nicely about nothing of much importance. Heaven help us if we foster disagreement and debate in the church. Then the gloves come off and we fight with tooth and claw. There is no middle ground. Part of the problem is that we live in a culture that has discounted and devalued civility and respect. Civil discourse is rare. We don’t see it in government. We don’t see it in the media. We don’t see it in science or business. We don’t see it in academia. And, sadly, we don’t see it in the church. At least, we don’t see much of it. I pray that we stop being so reactive and passive and take seriously that we in the church can adopt a different way to speak to each other and to treat each other. We need to declare a moratorium on hostility, incivility, and aggression. Note I do not say disagreement. We need to disagree, otherwise we will cease to grow. But how we disagree is that point. We need to agree how we will disagree. We need to state clearly what kinds of behaviors are unacceptable, and hold one another accountable to “fighting fair.” We need to develop protocols and procedures for entering into debate. We need to teach and learn the art of “speaking the truth in love” and help people be very clear about the difference between truth and opinion. We need to make a commitment to work together to create and construct healthy communities where healthy communication and common courtesy prevail. We need to let go of the wheel and let Jesus drive for a while. Certainly, we will end up some pretty strange places, but if we go willingly and gladly together, we will be okay. It isn’t difficult to figure out how we should relate to each other. We know what constitutes good behavior and bad behavior and all the grey areas in between. We just need to be honest with ourselves and others, and we need to make the commitment to put the good of God’s community ahead of any personal agenda. It really isn’t as hard as we make it — it just takes some work; work that should be at the core of all we do as God’s people. Dan, sometimes I think you’re looking over my shoulder…. Part of my experience has been, and continues to be,that as I preach and teach that we should have Jesus in the driver’s seat, more and more folks become very uncomfortable and push back. You said, “Are we all five year’s old?” I think our culture has played to this. We try to make everyone feel good about themselves at the lowest common denominator. I’ve been hearing some news stories recently that suggest we Americans don’t require enough from our children, that we give them too much and don’t make them work hard enough to learn how to be successful in life. Many folks in the church are certainly “spiritual youngsters” at best – and I’m including some clergy in this assessment. Wesley’s question, “Are you going on to perfection?” is often dismissed as “impossible, so why even try?” And, when in the midst of heavy controversy, it is sometimes easier just to leave rather than fight. 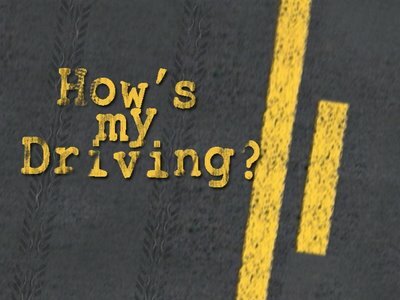 What would the model with Jesus in the driver’s seat really mean for our day-to-day interactions? Could it be that we would learn how to love the “unlovable?” Possibly it would mean that we’d have all the resources we need to be the church Christ wants us to be? How many relationships would be saved rather than broken? Do we really want the answer? Jesus once asked a sick person “Do you want to be made well?” I think he’s asking us the same thing. I sincerely believe that much — if not all — of what’s wrong with “us” is our abandonment of the Wesleyan Basics – Fundamentals — Precepts as it were — as we seek to be “hip”, “cool”, “with it” blah blah blah. This may be perceived by some as overly simplistic — but I do believe if you really (first) understand what the Wesleyan Fundamentals are — like “Going On To Perfection” (my favorite !!) — and then (second) practice and apply them — great and awesome things will happen as your life is blessed. In all humilility I can say with conviction that I am living proof of this. The Genius of Wesleyan Theology and Doctrine has been devalued — ala throwing baby out with bathwater — as the “church” tries to market itself rather than to teach and grow by example. We have trained ourselves well for the state in which we find ourselves. Issues of retraining continue to be difficult. The Lectionary Epistle for this coming Sunday (1 Cor. 1:10-18) reminds us we have quarreled all the way back to a tree of knowledge of good and evil, murderously at times. Jesus drove differently than other’s in his tradition. Having gotten out of the religious vehicle of his time, his followers continue causing injury to others in their new vehicle and argue over which variation (convertible, sedan, SUV, muscle car, electric, etc.) best suits each driver/rider. The so-called “Great Commandment” would have us all baptize and Paul, here, says Christ didn’t send him to baptize. Blessings on your helping us navigate this intersection between community and individual, past and future ministries, receiving and offering our gifts,…. Blessings on us engaging your help. While i very much appreciate your comments here and understand that you are not simply posing a fixed choice, i want to suggest a third option in addition to “fallen nature” or “biology.” i think this third possibility also ties into Wesley’s “going on to perfection” that Jeff mentions in his response. The third option is that creation is not complete yet, not “saved” (whole), and it is still in process. ISTM that in any case, we creatures must face the possible necessity of everyone “getting together” to care for one another. Our failure to love one another feeds our fallen nature or our biological self-centeredness or our sense of being incomplete. I think this is why the mega church appeals to people, especially young families. It avoids having to change and grow in Christ and it avoids the petty arguments and fights that erupt in smaller congregations. “Staff” take care of cleaning, preaching, doing outreach, etc. All I do is show up drop a few dollars and leave no harm no foul. Sure there are exceptions but for the most part there isn’t a need to participate or even know anybody and if the pastor says something I don’t agree with I can stop going and no one knows I have left. I agree with what’s been said. While I was reading your Blog Dan, I couldn’t help but think of something my Father told be years ago that really stuck with me. A minister the late 60’s was making the case for the creation in Genesis to be 7/24hr days as we know them now. My father, a science teacher who believes in evolution said that “he doesn’t know the truth about exactly how the earth was made. God set the process in motion but what happened from there is not recorded in the Bible, The Bible is not a cookbook for exactly how creation occurred,it is meant as a spiritual text.” That always stuck with me because it requires critical thinking and that it needs to be read as a whole and not picked apart for small points. We want an easy answer to these questions and there are none.